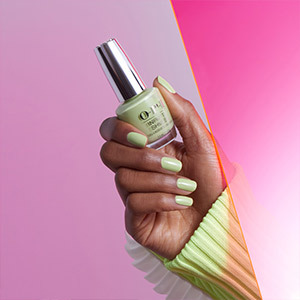 Take a trip to trendsetting Tokyo with the OPI Spring Nail Polish Collection. 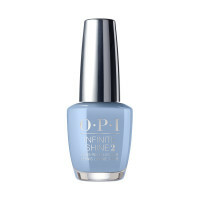 Apply 2 coats of OPI Infinite Shine Kanpai OPI! 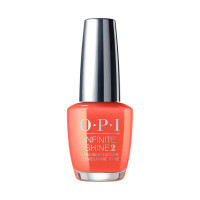 Draw a heart shape with OPI Infinite Shine Another Ramen-tic Evening. 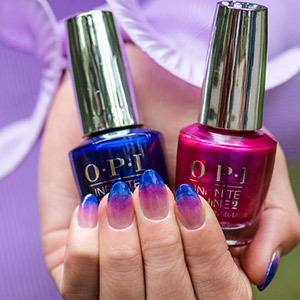 Using a nail art brush trace the heart shape with OPI Infinite Shine Another Ramen-tic Evening to fill in, and repeat for coverage. 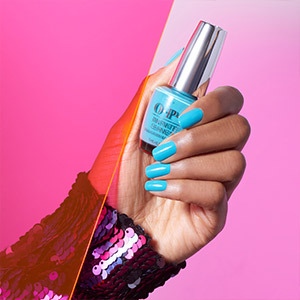 Trace the heart shape with OPI Infinite Shine Tempura-ture is Rising!